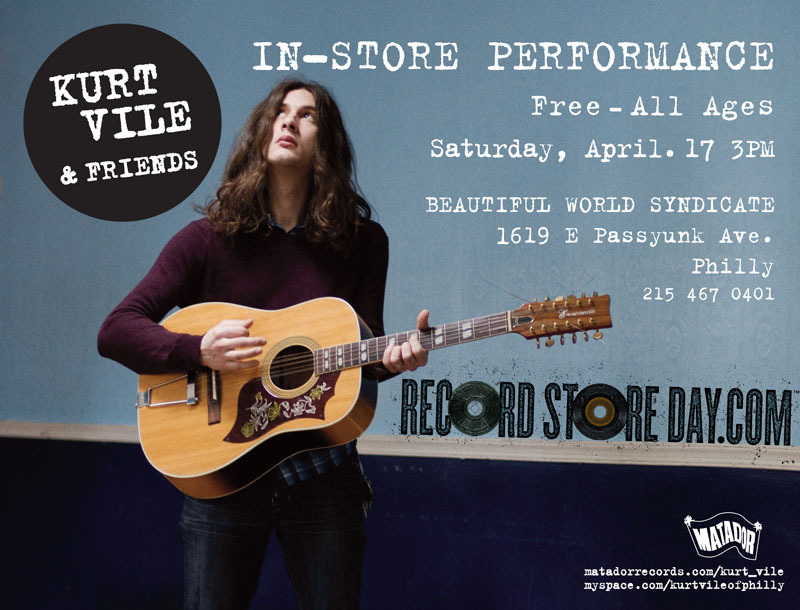 Times like this I wish I never left Philly… Kurt will be stopping by Beautiful World Syndicate this Record Store Day for a free, all ages instore at 3pm. This is gonna rule. Check it out. Buy some records. Then check it out some more. The correct address is 1619 E. Passyunk Ave, not 619. We have 300 hot dogs to give away too, so put on your eatin’ hat. Previous Previous post: Official Get TOGETHERs Announced! !